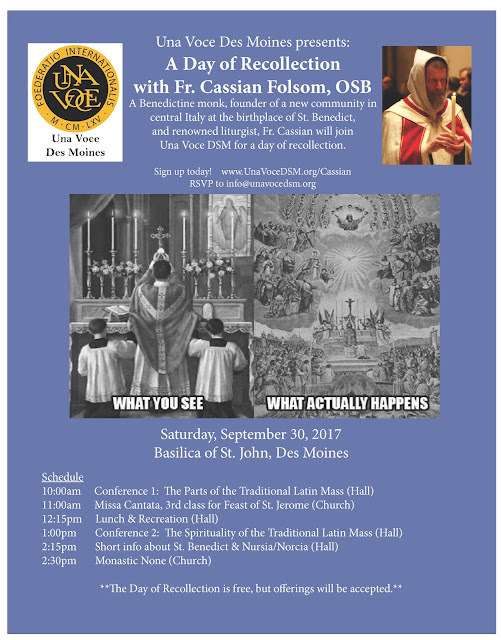 Our friends at Una Voce Des Moines have asked us to let readers know about an upcoming Day of Recollection with Fr. Cassian Folsom, OSB, founder of the Monastery of Norcia. His conferences will focus on presenting the structure and spirituality of the Extraordinary Form. The day will be centered on a Missa Cantata in the Basilica of St. John.